A zoo in Poland has become the home of rare white lion cubs. 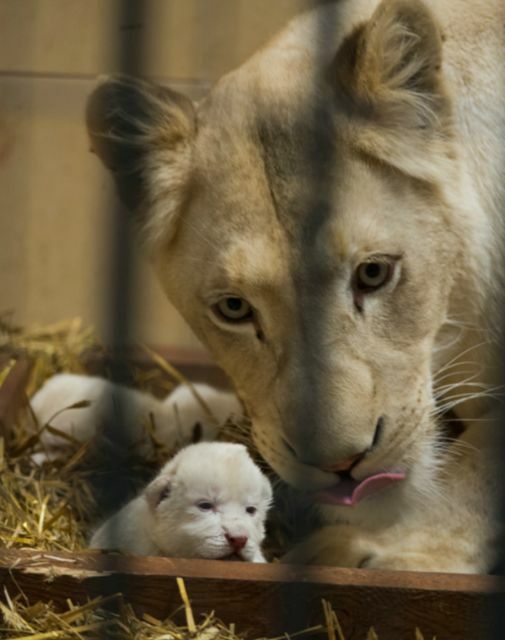 According to an Associated Press story, three of the albino cats were born to a two and one-half year old lioness at the Borysew private facility on Jan. 28. White lions are rare. Their color reflects a recessive genetic trait and, if inbreeding is employed to produce more of them, genetic defects can result. The animals are not necessarily a pure white in color. Their leucistic genetic state can also cause them to have a light blonde hue.